Robin Bardon was born with an entrepreneurial spirit. At the age of 16 he began his own business assembling and selling computers out of his home, and hasn’t slowed down since. Shortly after graduating from university and spending some time working abroad, he completed his Real Estate licensing course at The University of British Columbia’s Sauder School of Business. Within a few short months, he was out-performing the majority of the experienced agents at his firm despite the economic turmoil during that time. Now a “Top Producer” at Oakwyn Realty and a Medallion Club member, he continues to expand his business and client base. His focus on maximizing results for his clients while minimizing stress has set him at the forefront of the industry. 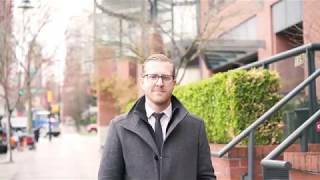 Selling throughout the Metro Vancouver area, he continues to accumulate accolades as an agent and earn repeated referrals from his extensive client database. He currently ranks in the top 1.5% of agents in the Vancouver Real Estate Board for number of sales. Robin continually sells his listings for higher prices and in less time than his industry competition. This industry is something that he has found he truly excels in, focusing on maintaining a high degree of professionalism, open communication with clients, and building a brand that reflects integrity. Check out Robin's active listings and/or office listings. To contact Robin, call 604-561-7221.